History. After graduating he was commissioned a second lieutenant in the Air Force as a result of ROTC training in college. Stationed in San Antonio he was an executive officer in a ground electronics squadron. During his spare time in the Air Force he enjoyed shooting on the Command Pistol Team. Sandy stated “I enjoyed this tremendously. I am pretty sure I shot up more than my salary in ammo (laughter).” In 1962 he completed his 15 year commitment in the U.S. Air Force and returned to Omaha to join the N.P. Dodge Real Estate company. Since then Sandy Dodge has worked diligently to promote and support the real estate and business growth within Omaha. Did experiences in your formative years affect your moral/ethical makeup? Yes, and I think my ethical makeup was pretty well established by the time I was 16 to 18 and frankly most, if not all of it, came from my mother and father. My dad was very active here in Omaha both in politics and inbusiness. I loved dinnertime, and in the 50’s, you ate with your parents at home. I think those conversations about business and politics and listening to him comment on the various situations he encountered, he just came off as a very ethical guy. He thought that you should always tell people the truth. As a matter of fact if I ever got in trouble in school, in those days it was double jeopardy. And man I was in a heck of a lot more trouble at home than I ever would have been in school. My major in college was American History which involved a lot of reading, both biographical and historical texts. I would read about people like Abraham Lincoln and how with humor he would be able to deflect questions. He was pretty darn honest from what I could see, good old Honest Abe. Andrew Jackson was another; he was probably the first popularly elected president, and was also a very straightforward guy. I admire that, as it is never easy giving tough news to people. What I enjoy most are the people I encounter. I like working with people and I like seeing people being asuccess. If I can help with that process, I take a great deal a pleasure out of that. As for the least, I am not a paper guy, I don’t enjoy going through contracts, yet it is necessary. Additionally I dislike firing people, but if you are in management it must be done. Very generally, when you think of "ethics", what does it mean to you? The first word, if you are looking for synonyms is honesty or straightforwardness Ethics are how you interact. You might say it is the right thing to do. It is not something that is necessarily something you have to do but it is the right thing to do. Ethics goes beyond the legality of a situation to how you treat the other people around you. Have you done business anywhere other than Omaha? If so, where? We don’t really participate in business outside of the Omaha metro area. I haven’t really had any true business experience outside of the Omaha area. Is there "something in the water" in Omaha, Nebraska that makes it a great place to do business? I think there might be but I’m not sure. The reason why I say that is because of the people we talk with when they move here from other larger metropolitan areas. They do comment on the friendliness and openness of other people. They say that when they go into the stores the employees and other customers have the time to talk to them in a friendly fashion. But if you go beyond that, say to the real ethical patterns or how people treat other people in a business sense, after spending 8 years on the east coast in a much different capacity, I’ve found that once you get through some of the reserve that may have been due to people living in a much closer environment and always coming into contact with people they don’t know, I’m sure that people are pretty much the same. I played football and ran track while attending Harvard, and met guys from all over the country. Yes, their accents were different, their experiences were different, but once you got to know them your exchanges with them were pleasant and you could be friends with them and trust them just as you could with anyone here. Describe an ethical situation in business you have faced that was relatively easy to handle - who was involved, where, what did you do and why? One I can think of is when an agent of ours sold a house and the agent was asked if there were any deaths in the house. The agent said no, but in fact someone had passed away in the garage. This agent took the literal approach, as the death did not occur in the house but in the detached garage. I believe ethically he should have said there was a death in the family that was a suicide and it was not in the house but in the garage. I felt that the agent’s response was wrong and we needed to correct the fault, and we bought the house back. We dismissed the realtor soon thereafter. To me that was an easy one. Other situations which are pretty cut and dried are when an associate will promise a client to do something and simply does not follow through. This is a violation of trust which is such an important ingredient between a client and an associate. Describe an ethical situation in business you have faced that was difficult to handle - who was involved, where, what did you do and why? Is it difficult for you to discuss the ethical quandaries you have faced? No, not at all. I really don’t usually have trouble deciding what is the right and wrong thing to do. I feel that the early establishment of my morals and ethics during my formative years has allowed me to easily discuss and decide such issues. Are there "unspoken" rules in your organization? Definitely. First, don’t lie. Period. Second, don’t hide a problem. Bad news doesn’t get better with age, it only gets worse. Someone can come to me with a problem and not think that it diminishesthem. We have problems all the time. Overall people within my organization know that they should not let bad news stay unreported. Finally, don’t steal. It’s obvious but this is the one item we are truly ruthless about. Part of that is because we have a fiduciary to investors and owners. If an employee of ours takes funds, even a small amount, they are gone. Please discuss the ethical culture at your business and how do you infuse ethics in your organization? Well you hope that it is good. But how does that happen? From my perspective it has to be from top down. Absolutely top down. Most of my contact is with vice presidents and managers. What I have to do is hope they reflect my thoughts and sometimes they will come to me with certain situations. Most of the time they come in and tell me they are going to fire an individual due to ethical shortcomings. What’s interesting is they are coming to explain to me why they are doing it, not should they do it. Would you prefer them to ask if they should or maintain their explanation? I like them to say that “we can’t have this individual; it’s not the Dodge way.” I really think that once that happens that means you are spreading the ethical culture. There really isn’t a true way to preach it, you have to live it. If you don’t live it, don’t preach it. How you do something is much more important than how you say you should doit. It’s much more important to live by example. Do you believe there is a link between the ethical culture and the leadership of an organization? I believe that these top executives getting paid 1500 times more than the average pay within their companies, is absolutely unconscionable; I don’t think that’s ethical. When companies went public the top executives no longer really had blood in the game. Their ownership was minimal, and they became very short term goal-minded. A great deal of our problems in the financial meltdown were ethical. Much of what was done was legal but simply was not ethical. What are your thoughts on executive pay? I can tell you what it is... In our company I get paid probably four times the salary of the average salary within N.P. Dodge. On top of that I get a percentage of bottom line profits, below 10%. I don’t believe that the gross amounts these individuals are taking in are anywhere near ethical. Do you have an ethics mentor? If so, who, and why? No...(laughter). I’m too old now, I’m 72. It’s a little late for me to start acquiring something like that. Like I said by the time I was 16 or 18 I was pretty much hardwired ethically, unless you’ve really had some bad experiences where you need to be patched up. Fortunately that did not happen to me. When looking for new employees at NP Dodge, what portion of the interview process do you get into to get a feel of applicants’ moral and ethical values? That is a tough question, and you can’t avoid making some mistakes. We look for people who are bright, honest, passionate, and have energy. Plus they have to fit into the culture. With one or two interviews you really don’t know if a person will fit well within your organization’s culture. People change, circumstances change, there really is no guaranteed way to determine if an individual is ethical. We look for people who give us the honest and straight story. What are the biggest ethical challenges that young business professionals face today? Any tips for dealing with them? The computer. You can do a whole lot on the computer that has nothing to do with your business. We have seven individuals on our team who work in information technology. You have to remember 20 years ago we had zero. We are now spending well over a quarter of a million dollars a year on something that has nothing to do with what we do, except they make the darn box work. I think what is really a huge problem today is how much time you really can waste on the computer. One thing we do is monitor internet usage. If we notice high number of visits to sites that have nothing to do with our employees’ work we then approach these individuals. The computer allows you to look like you are really working your head off. It’s a window to the outside world when you are supposed to be doing something for your company. The other issue I think we have to face is communication. This may not necessarily be an ethical issue but is an issue nonetheless. The younger generation probably feels very comfortable writing emails back and forth. My problem about that, and one we have as a company, is that when you look someone in the eye you get the nuances of what someone is trying to tell you. If someone doesn’t pick up the phone after three emails, I think we have a problem of communication. This may not be an issue with anyone 40 and under. I think this is an issue with individuals from my generation. Do we have to learn a new way to communicate? Yes, but I don’t believe that the written word can always convey the total gravity or intent of what a person is trying to do or say. You get an awful lot of mixed signals as emails become more clipped inadvertently conveying anger when it was not the intention of the sender. What is your company doing to incorporate "Corporate Social Responsibility" into operations? involved with the FoodBank. In order to really encourage individuals to help volunteer, we try to highlight those individuals within our company newsletters and other functions. On the residential sales side of the company many of our agents contribute a portion of their commissions to a charitable fund called “Dodge Cares”. Finally, we always contribute a percentage of company profits to the not for profits in our community. Why is “Corporate Social Responsibility” is important to an organization? Well remember, it depends on the organization you are talking about. Most companies within a city are parasites. If Omaha is successful as a city and growing then we who are selling houses to people who are coming or going, and benefit from that. Local banks and grocery stores are the same way. If you make your city a better place to live, it makes it easier to attract business which in tern produces growth, and a more vibrant economy with greater opportunities. The real estate market has been volatile the past 18 months – 2 years. Have you noticed more lapses in ethical behavior in this business generally? How do you ensure that ethical business practices are maintained when times are tough? I really have not seen it. When you read about the depression in the thirties people pulled together. I believe more is done unethically while money is loose, and easy to come by. But I really do think people buckle down and pull together when times are tough.  You are a member of the Omaha Business Hall of Fame. What does that mean to you both from a business and a personal perspective? Number one it is a great compliment to me. I may be like many other individuals and I don’t think I belong there because I look at the names next to me, whether it’s Warren Buffett or any of the other legends, I am no where near his class. I am very pleased that the Chamber included me in that group, but I am very humbled by it. So I am very pleased I’ve done it, but I do think that in some ways I don’t deserve to be there (laughter).